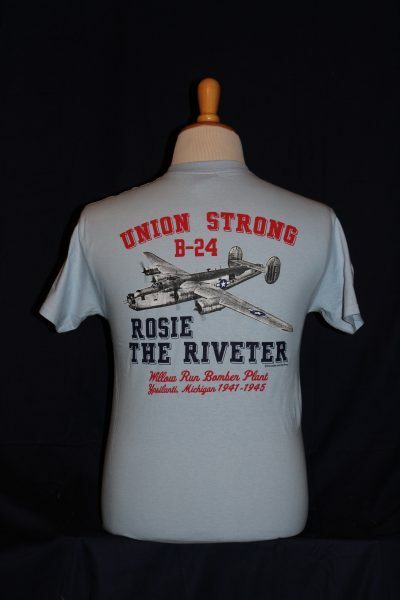 The Rosie The Riveter T-Shirt is a two sided print in high blue. 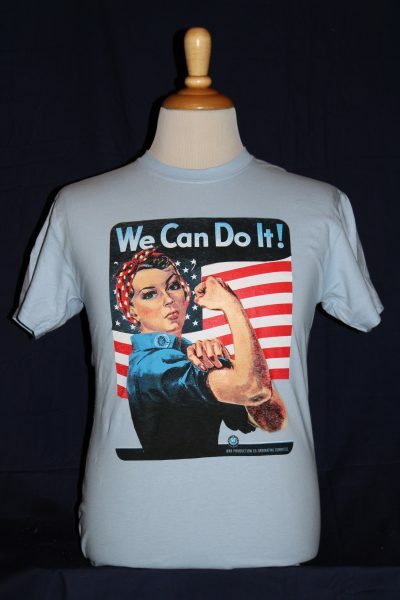 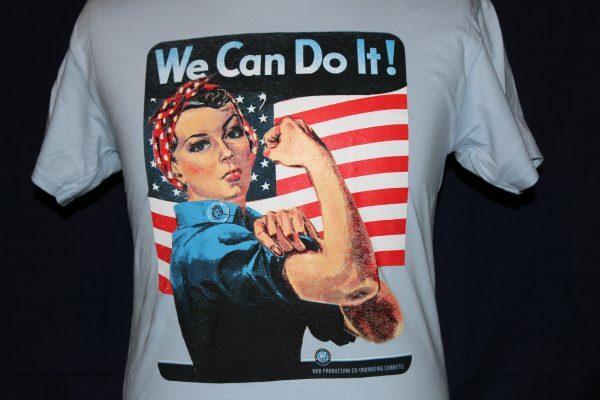 Front Design: Displays a silk screened image of Rosie The Riveter. 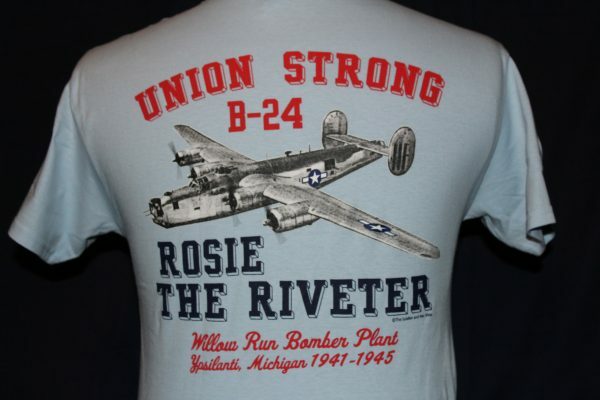 Back Design: Displays the B24 Bomber with text on the Willow Run Plant.